UNABLE TO PROCESS ANY ORDERS. 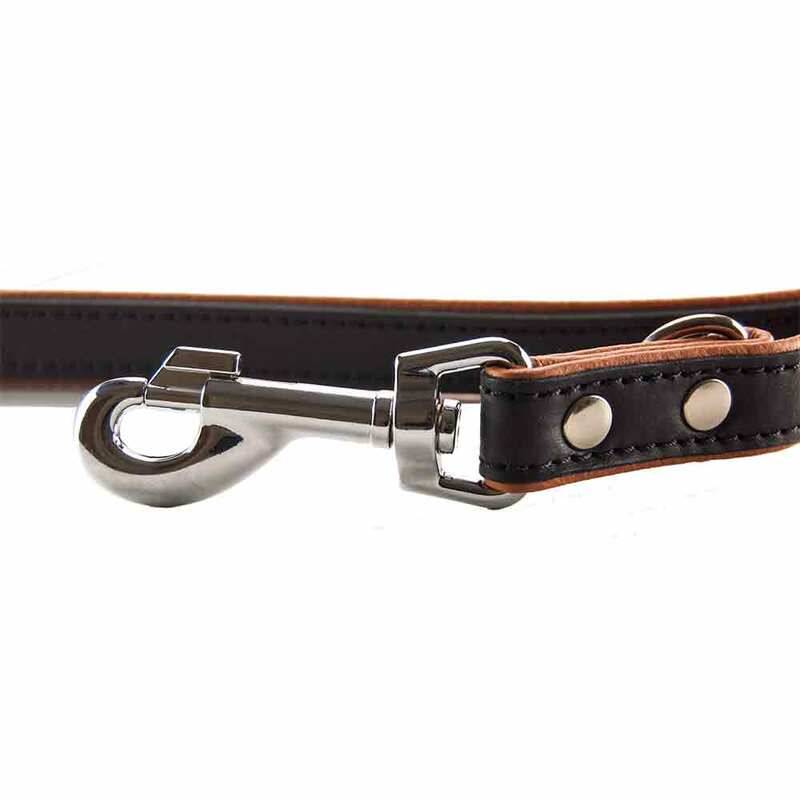 This fully adjustable leash is made to last using only high quality genuine cow leather and durable chrome-plated fittings. 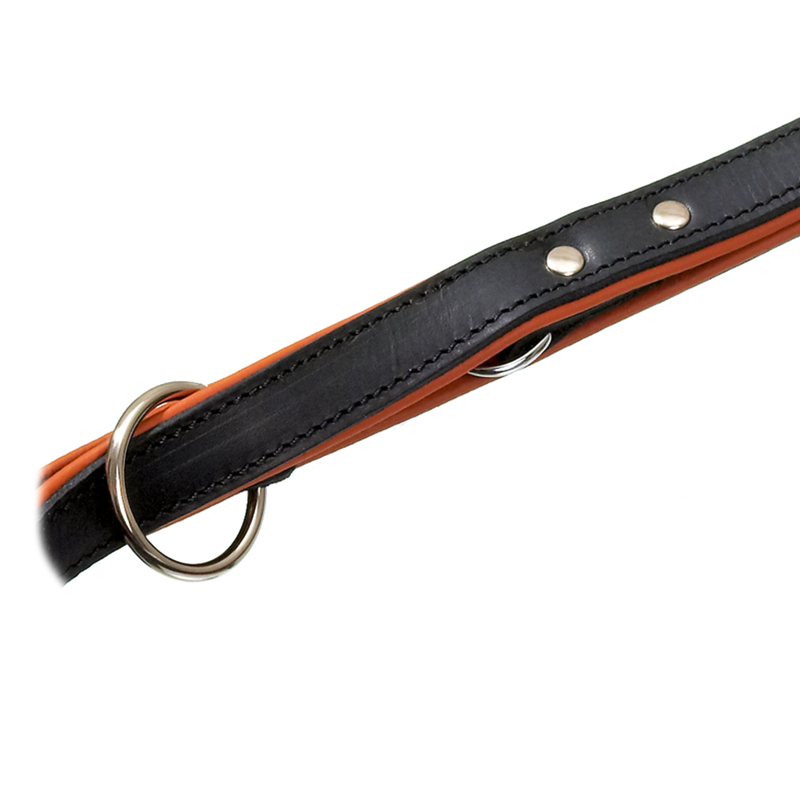 The inside of the leash is also made with an additional soft cowhide liner adding protection and comfort. As all of our adjustable leashes, our Rodeo leather leash enables you to change the leash length depending on how much control you need for your dog. 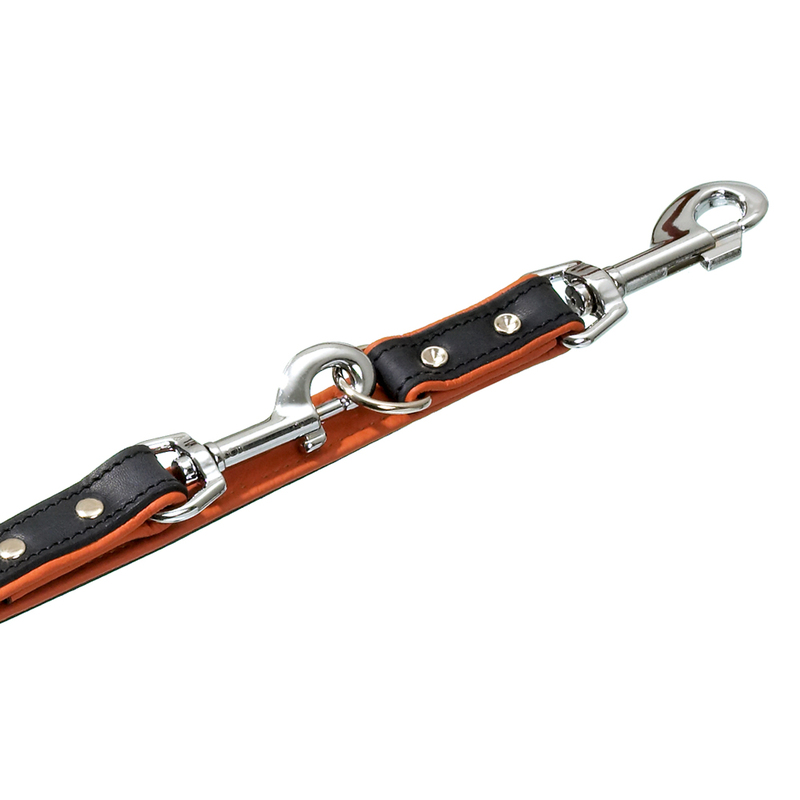 The Rodeo cow leather leash allows 3 different leash lengths between 40 and 79 inches. 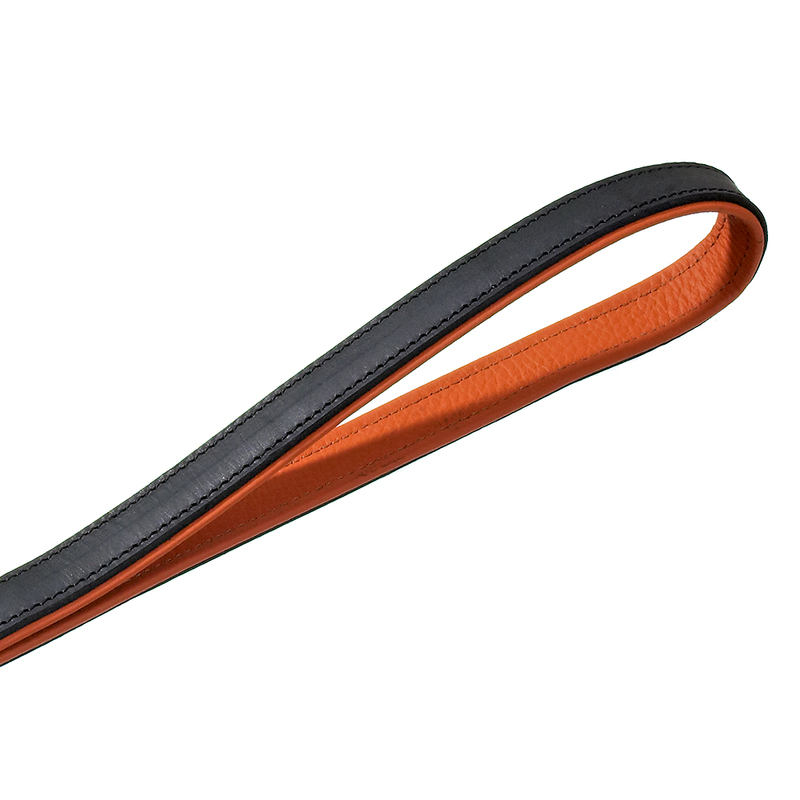 The high quality cow leather chosen for this leash has a high fat content improving the elasticity of the leather, making it easier to maintain and also resistant to moisture. The leash features very durable chrome-plated fittings, is made completely in Germany in a beautiful classic black/cognac color combination. - 3-way adjustable between 40.00" and 79.00"
Save 40% on your ENTIRE purchase!